I think in pole dancing you have it all. Exercise, dancing, stretching, fitness. Anastasia Skukhtorova – one of the best pole dancers in the world, pole dance/pole fitness instructor, performer, competitor. 1. Anastasia, could you please tell me about yourself? How have you come to pole dance? 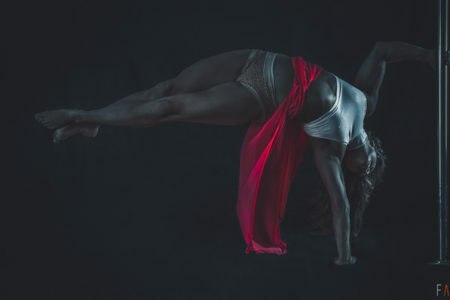 What was your biggest challenge when you started pole dance and how you overcame it? 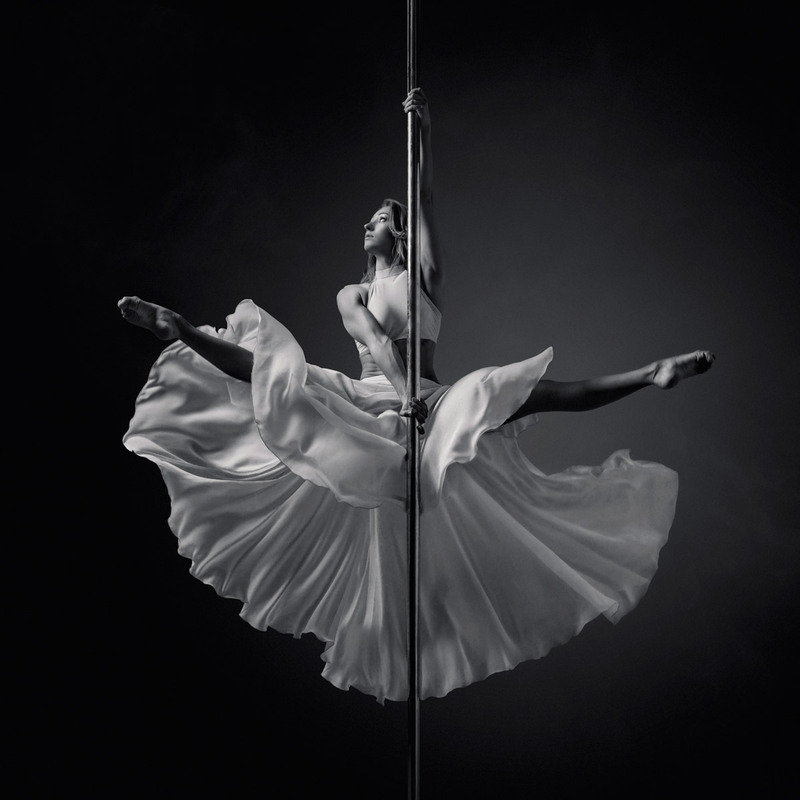 How was your process of becoming a professional pole dancer and instructor? What and who inspired you when creating your own style? I’ve been practicing pole dancing for 7 years now. Wow, time flies! I always wanted to be a dancer. I dreamed about ballet when I was little. When I became 18 years old I realized I want to be more feminine, I want to learn how to move. So I decided to try pole dancing. It was in Moscow. December 2008. I took my first class and instantly fell in love with pole. It was very difficult, but it didn’t stop me cause I liked the challenge. I liked to overcome myself everyday. I wanted to become flexible and strong, fit and elegant. After 2 month of training the owner of that studio invited me to teach beginner classes. Because I was learning all basic spins and transitions quite fast and if I could not do something I could explain it very well. So that’s how I started to train everyday and slowly teaching 🙂 At the same time I saw a video of Felix Cane. It was stunning. I thought everything she is doing is impossible, it is something from the sky. But I was so motivated to work hard. I wanted to do everything she is doing. And I don’t know why I believed i will. I have so many people who inspired me that time – Felix , Jenyne, Zoraya, and Vardanush, Elena Shtalinskaya, Dima Shine. 2. Why have you chosen pole dance? What is special in pole dance for you in your opinion? What other aerial arts are you doing? I think in pole dancing you have it all. Exercise, dancing, stretching, fitness. It makes you fly. It makes you happy and confident, opens up your mind. For me this also opened the world. I’ve been practicing aerial silks, hoops. It is always different because of traveling. A little bit difficult to keep the same schedule when you are moving so much. But when I come home I wake up at 10am, drink water with lemon, have breakfast and then it can be dance classes, or private lessons, pole dancing, flexibility training or reading. Meeting with friends, doing some work on my computer or phone. Usually my training is about 2/3 hours. I start with stretching, handstands, then go on the pole. Warm up before performance depends on how hot is in the room. But usually 15/20 min. 4. How do you create your pole dance transitions? Could you give some tips for interesting transitions? How is your creative process when preparing choreography?How do you choose your music for your performances? Well, I think you need to really feel the song. Maybe you can rely on something when you listen to it. To any situation in your life. That helps to do performance more artistic. And I always create my acts with professional choreographers. Because they can give a good advice , correct you. And they see better. 5. What is the most important in a pole dance performance from your point of view? I like when people go with music. When They feel it. Have expression. I like when act touches you. Leaves emotions after watching. 6. What are your favorite pole tricks and how to do one of them? 7. You have amazing pictures and such beautiful clothes! Where one can buy pole dance dresses with long flying skirts? Could you give some modeling tips for pole dancers? 8. What exercises would you recommend to get a good back bend for Extended Flexi Embrace? What should one consider when doing this move? What tips or exercise can you give to master deep back bends? I like to train now with stretch band, it helps me a lot. You can use it in any way you want. There are a lot of videos and pictures in Instagram or YouTube. And for any level. 9. You won a lot of championships. How was your experience during the championships? I liked performing on the stage but I never thought of it as a competition. It was more to meet new people, to see new country, to have fun and to show how you see pole dancing. 10. Where one can book you for a show? Do you also give classes and workshops? I also have YouTube and VK. Pole performer, champion and instructor.